The Newton Department of Senior Services and the Newton Council on Aging contracted with UMASS Boston Gerontology Institute to conduct a needs assessment of Newton residents age 50 and over. Those findings from “Living and Aging in Newton: Now and in the Future” (2014), representing the voices of older residents themselves, inform a long-term, ongoing strategic plan to guide the City’s services, activities and advocacy efforts for older adults.•The City of Newton commissioned a demographic projection study by Northeastern University’s Dukakis Center to help inform the Newton LEADS 2040 initiative so that as we plan for the next 25 years of our city’s infrastructure, our knowledge of the population we will need to respond to is accurate. 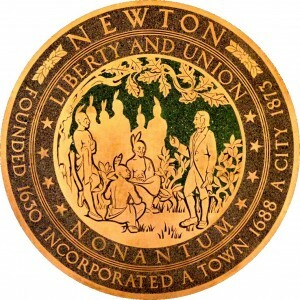 In 1990, 15% of Newton’s population was 65 years of age or older. By 2030, 24% of Newton’s population will be 65 or older. Thus, our aging friendly agenda has become deeply integrated into our overall city wide action plan that focuses on promoting economic self-sufficiency across the lifespan.•The City of Newton has commissioned a comprehensive Housing Strategy plan for the next 25 years that includes a specific focus on the needs of older adults and will be released in February 2016. Preliminary analysis clearly indicates that our housing stock consists predominantly of single family homes and that 65% of all housing units in the city have 3 or more bedrooms. These data show that available housing is not aligned with our aging demographic and addressing this mismatch is a key priority. The development of this housing strategy plan has included multiple community meetings to gather input and has included strong representation from the older adult community.